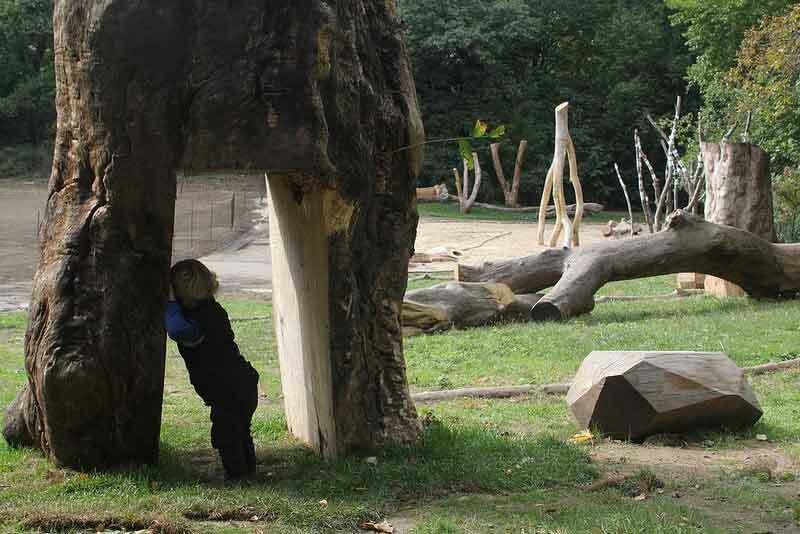 No matter how well a playground is designed, there is still no substitute for the excitement found in nature. 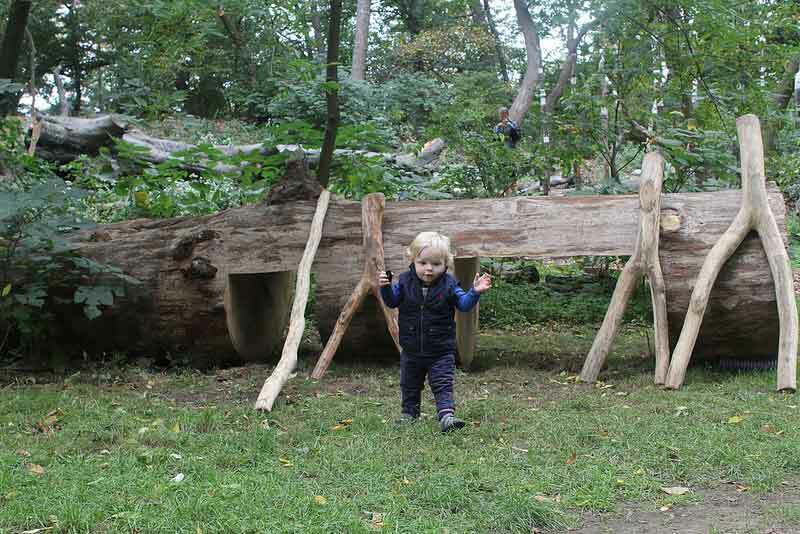 Earlier this month, Prospect Park Alliance was proud to open the Donald and Barbara Zucker Natural Exploration Area. Designed with Olmsted and Vaux's rustic aesthetic, the site's awe-inspiring backdrop is courtesy of damaged trees salvaged from recent storms, intermingled with sand and water to encourage children to stretch their muscles, imaginations and affinity for nature as they play. Funded by a grant from Donald and Barbara Zucker, the Natural Exploration Area boasts a large sand deposit, water pump, fallen trees and hidden tunnels. Located in Nellie’s Lawn near the now-forgotten Vale of Cashmere, the playground is an excellent place for children to have a little time for supervised recreation in the woods. Perfect for unstructured play, kids of every age can enjoy coming into contact with new tactile surfaces, connecting with the environment, and soaking up the great outdoors within their city. Funded by a grant from Donald and Barbara Zucker, the Natural Exploration Area boasts a large sand deposit, water pump, fallen trees, and hidden tunnels. Located in Nellie's Lawn near the now-forgotten Vale of Cashmere, the playground is an excellent place for children that do not have access to forests a little time for supervised recreation in the woods. Reclaimed trees make for excellent seats, platforms, and walkways. Carved tunnels are the perfect size for young children to walk through. The area features a variety of organic forms and textures to engage young minds. Perfect for unstructured play, kids of every age can have a good time coming into contact with new tactile surfaces, connect with the environment, and enjoy the great outdoors within their city.